Older homes can often begin to show their age if you don’t opt to upgrade them every once in a while. We lived in an old, quaint cottage for several years before deciding to take the plunge and renovate the home. Before our renovation project we had gone through many phases of updating and improving the look and feel of our old home. Here are just some of the things to consider if you want to improve the look of an old home. A simple coat of paint is your first line of defence against an ageing home. You will want to re-paint your walls, ceiling and your trim. Everything needs to be re-done so that you have a clean slate to work with. If you want to draw subtle attention to the trim, consider using a glossier paint. When you do this, you can preserve the original features of the home without having to worry about it looking too traditional. If your trim is in good shape, then consider painting it a contrasting shade. This will really help it to stand out and it will also make it much more appealing. Consider a feature wall in your main living area or bedroom to make a real statement. This can even be a case of adding some wallpaper, tiles or wooden planks to complement your new paint job. If you have some super awkward windows, then consider using drapes to conceal them. Older homes can sometimes have quirky windows that are in very unusual places or window frames that aren’t of a standard size. Replacing these windows can prove costly but a good way to add something new to improve the look of them is to add some stylish drapes. If you don’t want to use drapes, then consider installing a window seat in your kitchen or hall as this can make a real statement in your home and give you another space to relax in. Open-style shelving units are a very stylish way for you to add plenty of additional storage. If you can, you should try and avoid having too many big, bold cabinets. Sometimes they can make a home feel old and unwelcoming, not to mention that you end up hiding a lot of the architecture of the home as well. When choosing your shelving units try and make sure that they match in with the decor of your home. 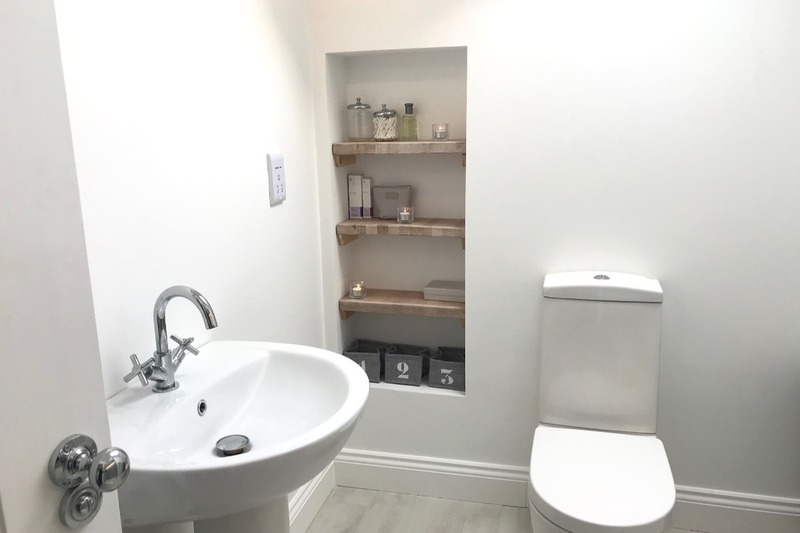 We recently used an old butchers worktop for shelving in the ensuite and den in our home. This worktop was in our old kitchen so we were able to re-use this and make it a feature in these rooms. 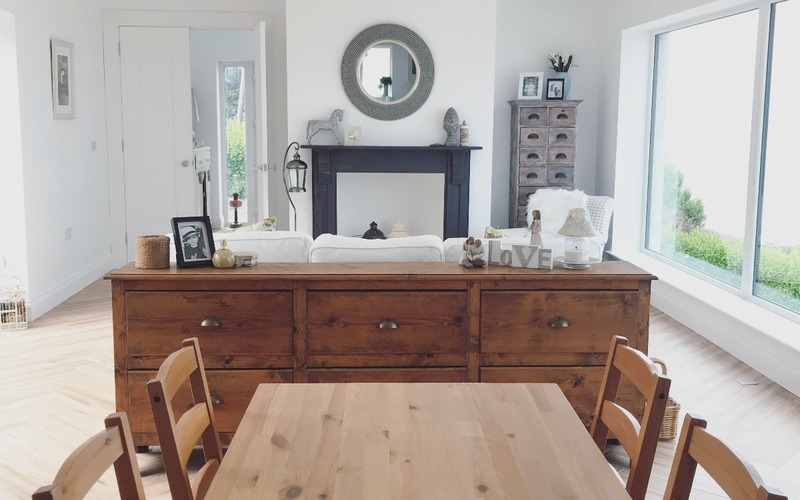 In general, having clean, simple or even contemporary furnishings can really help you to bring a sense of modern life to a very traditional home. On top of this, you don’t have to worry about the two styles competing for attention. If you want to get a few ideas then consider having rich textures, soft colours and clean lines. If you do this then you can get the perfect blend between the traditional architecture you have and the modern look you are going for. 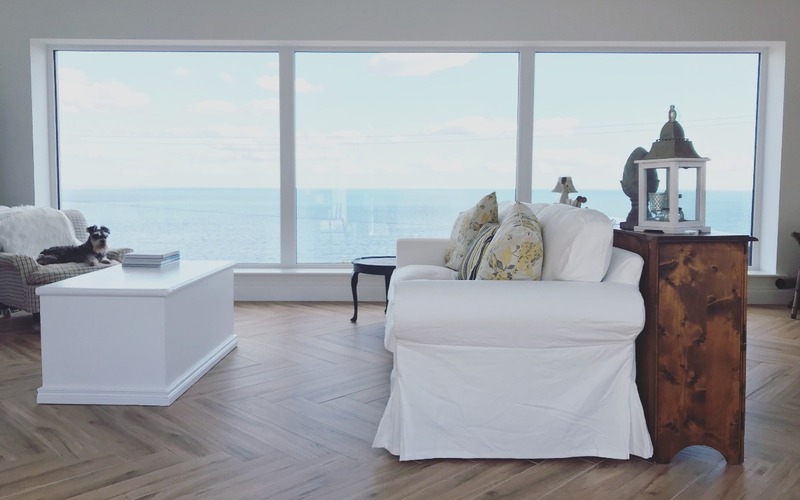 If you are buying an older home or simply looking for ways to upgrade your current surroundings, one thing that is likely to be top of your list is replacing your doors. You may find that the doors themselves are solid, but they do need some updating. If you want to get around this then you can easily strip, sand and re-paint the doors. If this just isn’t going to work, then you may want to get them replaced entirely. You should also look into the external doors as well. You can get some really beautifully designed external doors online and you would be surprised at how much these can help you to modernise your home. Heating can be a big problem for older homes, something we know all to well. Our old home had no central heating and this was a major factor in us deciding to renovate. This also meant that heat became a big part of our thought process for the new home. 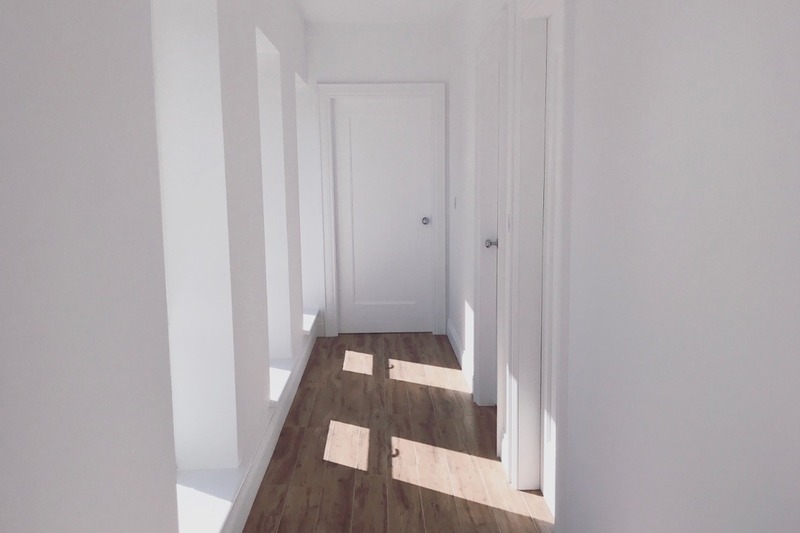 Things like underfloor heating and the deep cavity walls with pumped insulation will help keep our home at a comfortable level across the year, while also helping to reduce our heating bills. While tearing up your flooring or pumping your cavity wall with insulation isn’t something everyone can do, looking into heating solutions like multi-fuel stoves or improving your loft insulation are perhaps easier ways to begin improving the heating in your home. These can also lead to less outgoings in terms of oil and gas for your central heating system. If you want to get ideas for improving your home heating, chat to a plumber to see what they would suggest. Bring them to your home and discuss what you would like to do. Do you have any other tips for improving an old home? Perhaps you’ve recently gone through an upgrade or renovation project. Share your top tips with us below. Until next time, good luck with those upgrades.